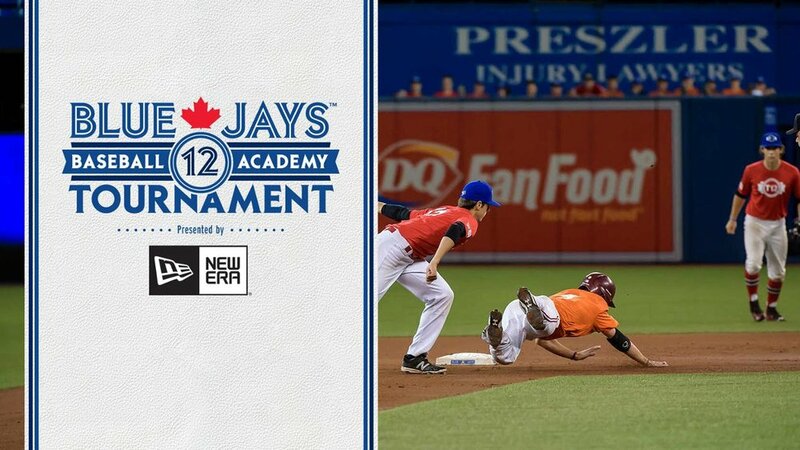 Who knows for sure what lies ahead for the members of our soon-to-be-announced 16th annual Canadian Baseball Network All-Canadian College team? Whomever makes the All-Canadian team — the best playing south of the border from the spring of 2015 — they will be carrying on a Canadian tradition … success at the college level = success at the pro level. OF Jason Bay (Trail, BC), of the Gonzaga Bulldogs, a Canadian Baseball Network first team All-Canadian in 2000, was drafted in the 22nd round by the Montreal Expos. He then was the 2004 National League Rookie of the Year with the Pittsburgh Pirates. Signing a four-year $60 million deal with the New York Mets, he headed to the Seattle Mariners this year. He played 68 games with the Mariners before retiring this year. Baseball Canada add Bay’s name to the Wall of Excellence in Ottawa. LHP Jordan Gerk (Kelowna, BC), of the Oral Roberts Golden Eagles, and a Canadian Baseball Network first teamer in 2000, went on to pitch in the Detroit Tigers system. 3B Nom Siriveaw (Vancouver, BC), of the Eastern Oklahoma Mountaineers, a Canadian Baseball Network first teamer in 2000, signed with the Toronto Blue Jays. SS Shayne Ridley (Milton, Ont. ), from the Ball State Cardinals, a Canadian Baseball Network a first teamer in 2000, signed with the Kansas City Royals. RHP Rich Harden (Victoria, BC), of Central Arizona Vaqueros, earned Canadian Baseball Network first team honours in 2001 was signed by the Minnesota Twins to pitch at triple-A Rochester this summer. However, he never threw a pitch. 2B John Cole (Kanata, Ont.) of the Nebraska Cornhuskers, a Canadian Baseball Network first-team selection in 2001, signed with the Mariners. SS Lee Delfino (Pickering, Ont. ), a Canadian Baseball Network first-team selection in 2001 with the East Carolina Pirates, signed with the Jays and now runs the Brantford Red Sox. OF Danny Gibbons (Toronto, Ont.) of the North Central Texas Lions, a Canadian Baseball Network first team selection in 2001 and a third team selection in 2002, signed with the A’s. OF Adam Stern (Port Stanley, Ont. ), of the Nebraska Cornhuskers and a 2001 Canadian Baseball Network second-teamer, played 54 games in the majors for the Boston Red Sox, Baltimore Orioles and the Milwaukee Brewers. He coaches with the Great Lake Canadians. RHP Chris Begg (Uxbridge, Ont. ), of the Niagara Purple Eagles, a 2001 Canadian Baseball Network second teamer, pitched in the San Francisco Giants system. RHP Steven Carter (Woodslee, Ont. ), of the Coastal Carolina Chantileers Hal of Famer, a Canadian Baseball Network second team selection in 2001 and in 2004, signed with Oakland. OF Josh McCurdy (Thornhill, Ont.). of the Niagara Purple Eagles, a Canadian Baseball Network third team selection in 2001 and a first teamer in 2003, signed with the Baltimore Orioles. RHP John Ogiltree (Mississauga, Ont.). of the Martin Methodist Indians, a Canadian Baseball Network honourable mention in 2001, was signed by the Jays. RHP Judd Richardson (Caledon, Ont. ), of the Miami Ohio RedHawks, a Canadian Baseball Network honourable mention in 2001, signed a contract with the Brewers. LHP Jeff Francis (North Delta, BC), of the British Columbia Thunderbirds, proved you can stay near home and still go far, as a Canadian Baseball Network first-team All-Canadian selection in 2002. He was a first-round pick (ninth overall) in the draft. This season he pitched with triple-A Buffalo, the Blue Jays and started the gold medal game for Canada in the Pan Am Game at Ajax in 2015. RP Jesse Crain (Toronto, Ont. ), of the Houston Cougars, earned Canadian Baseball Network first-team honours as a closer in 2002 and a second team shortstop the same year. Injuries limited Crain to six games with the rookie-class Arizona League White Sox in 2015. RHP John Axford (Port Dover, Ont. ), of the Notre Dame Fighting Irish and the Canisius Golden Griffins, a Canadian Baseball Network second-team selection in 2002 and a third-team choice is 2003. He worked out of the Colorado Rockies bullpen in 2015 and for next year signed a two-year deal with the Oakland A’s for next year. C George Kottaras (Markham, Ont. ), of the Connors State Cowboys, a Canadian Baseball Network second-teamer in 2002 and an honourable mention in 2003. He spent time this summer with triple-A Charlotte and Buffalo. He’s a free agent for next season. 3B Hyung Cho (Scarborough, Ont. ), of the Houston Cougars, a Canadian Baseball Network third team selection in 2002 and a first teamer in 2003, went on to play in the Mariners system. SS Aaron Hornostaj (Waterloo, Ont. ), of the Connors State Cowboys, a Canadian Baseball Network third-team selection in 2002, was signed by the Giants and played in their minor-league system. OF Matthew Stocco (Guelph, Ont. ), of the Spartanburg Methodist Pioneers and a Canadian Baseball Network third team selection in 2002, played in the San Diego Padres organization. He now coaches with the Ontario Terriers and reminds coach Scott VandeValk to leave no man behind. LHP Adam Loewen (Surrey, BC), of the Chipola Indians, a Canadian Baseball Network first teamer in 2003 as a pitcher and a third teamer as a DH, was in the Baltimore Orioles rotation. An elbow injury meant a switch to the batter’s box, he made it back to the majors as a hitter with the Jays in 2011 and he was back again with the Philadelphia Phillies this summer. He has signed to pitch for the Arizona Dimaondbacks next season. RHP Brooks McNiven (Vernon, BC), of the British Columbia Thunderbirds, a Canadian Baseball Network first teamer in 2003, signed with the Giants. RP Ryan Braun (Kitchener, Ont. ), of the Nevada-Las Vegas Hustlin’ Rebels, a Canadian Baseball Network first teamer in 2003, pitched in the Kansas City Royals system. OF Alex Borgo (Cookstown, Ont. ), of the New Mexico State Aggies, a Canadian Baseball Network first teamer in 2003 and signed with the Phillies. LHP Drew Taylor (Toronto, Ont. ), of the Michigan Wolverines, a Canadian Baseball Network second-team All-Canadian in 2003 as well as earning honourable mention in 2005 and 2006. He pitched in the Jays system and also went to spring training with the Phillies. RP Cory Stuart (White Rock, BC), of the University of British Columbia Thunderbirds, a Canadian Baseball Network second team all-Canadian in 2003, went on to pitch in the New York Yankees system. OF Christopher Emanuele (Mississauga, Ont.) of the Northeastern Huskies, a Canadian Baseball Network second team selection in 2003 and in 2005 and a first teamer in 2006, played in the Jays system. RP John Hurd (Fruitvale, BC), of the Southern Idaho Golden Eagles, named to the Canadian Baseball Network third team in 2003, and signed with the White Sox. C Jake Elder (North Delta, BC), of the Minnesota Golden Gophers, selected to the Canadian Baseball Network third team in 2003 and 2004, plus the second team in 2005 was in the Arizona Diamondbacks organization. INF Emerson Frostad (Calgary, Alta. ), of the Lewis-Clark State Warriors, named to the Canadian Baseball Network third team in 2003, played for Trois-Rivieres in the independent Can-Am League. INF Matt Rogelstad (Coquitlam, BC), of the Arkansas State Trojans, elected to the Canadian Baseball Network third team in 2003, and spent time in the Washington Nationals system. LHP Adam Daniels (North Vancouver, BC), of the Oklahoma State Cowboys, a Canadian Baseball Network honourable mention in 2003, a third team in 2004 and a third teamer in 2005, signed with the St. Louis Cardinals organization. He signed after being drafted a fifth time. He was first selected in the 27th round in 2001 draft by the Toronto Blue Jays; by the Minnesota Twins in the 19th round in 2002 from East Oklahoma State College, the Colorado Rockies in the 22nd round in 2003 from East Oklahoma State College, the Chicago Cubs in the 43rd round in 2004 from East Oklahoma State and the Cardinals in the 15th round of the 2005 from Oklahoma State. OF Reed Eastley (Brandon, Man. ), of the Niagara Purple Eagles, named Canadian Baseball Network honourable mention to the 2003 all-Canadian team, a second teamer in 2004 and an honourable mention in 2005, signed with Seattle. OF Sebastien Boucher (Ottawa, Ont. ), of the Bethune-Cookman Wildcats, Canadian Baseball Network honourable mention in 2003 and earned third-team honours in 2004, before turning pro with the Mariners and after playing with the Quebec Capitales in the independent Can-Am League moved on to the Ottawa Champions. OF Jimmy Van Ostrand (North Delta BC), of the Alan Hancock Bulldogs and the Cal Poly San Luis Obispo Mustangs, earned Canadian Baseball Network honourable mention in 2003 and 2005 and a third teamer in 2006. He retired and is now director of player development with the University of Arizona. RHP Jordan Thomson (Ottawa, Ont. ), of the Northeastern Huskies, a Canadian Baseball Network first teamer in 2004 and signed with San Francisco. RP Robbie Findlay (Etobicoke, Ont. ), of the Texas Christian Horned Frogs, earned Canadian Baseball Network first team All-Canadian honours in 2004 and turned pro with the Tampa Bay Devils Rays. C Chris Robinson (Dorchester, Ont. ), of the Illinois Fighting Illini, a Canadian Baseball Network first teamer in 2004 and 2005, started out at Triple-A Norfolk in the Orioles organization, was traded to the San Diego Padres and the Triple-A Tucson. Robinson retired and coaches with the Great Lake Canadians. RHP John Mariotti (Toronto, Ont. ), of the Gulf Coast Commodores and the Coastal Carolina Chanticleers, voted to the Canadian Baseball Network first team in 2004 and earned honourable mention in 2005, 2006 and 2007. He was with Team Italy in the 2013 World Baseball Classic. SS Jonathon Malo (St-Roch-de-l’Achigan, Que.) of the Northeastern Oklahoma A & M Golden Norse, a Canadian Baseball Network first teamer in 2004 played in the New York Mets system and again was a stalwart with Quebec this year. LHP R.J. Swindle (Vancouver, BC), of the Charleston Southern Buccaneers, a Canadian Baseball Network first teamer in 2004 and third teamer in 2004, was drafted by the Boston Red Sox, pitched nine years in the minors and made the majors for nine games with the Phillies and the Brewers. RP Chris Leroux (Mississauga, Ont. ), of the Winthrop Eagles, a third teamer in 2004, pitched at triple-A in the Phillies system as well as helping Canada win gold. RHP James Avery (Moose Jaw, Sask. ), of the Niagara Purple Eagles, a Canadian Baseball Network honourable mention in 2004 and was a first teamer in 2005. He pitched in the Tigers system, before heading to Mexico. RP Jason Blackey (Duncan, BC), of the North Central Texas Lions, Canadian Baseball Network honourable mention in 2004, pitched in the Boston Red Sox system. C Mike Nickeas (Vancouver, BC), of the Georgia Tech Yellow Jackets, Canadian Baseball Network honourable mention in 2004, was at Triple-A Buffalo, part of the Blue Jays system. SS Steven Condotta (Mississauga, Ont. ), of the Florida Tech Panthers, earned Canadian Baseball Network honourable mention honours in 2004 and 2005 and a first teamer in 2006 and 2007 before signing with the Jays. OF Jon Baksh (Mississauga, Ont. ), of Florida Tech Panthers, Canadian Baseball Network honourable mention in 2004, a first teamer in 2005 and 2006. He was drafted and signed with the Jays. 1B Jared Schweitzer (Lethbridge, Alta. ), of the Kansas Jayhawks, Canadian Baseball Network honourable mention in 2004, made the second team in 2005 and in 2006. He turned pro with the St. Louis Cardinals. OF Tim Smith (Toronto, Ont. ), of the Midland Chaparrals, a Canadian Baseball Network first teamer in 2005 and 2006 and a second team selection in 2007, signed with Texas. He played in in the Braves, Rangers and Royals systems. This winter he played with the Quebec Capitales. DH Mike Gosse (Pitt Meadows, BC), the Oklahoma Sooners in 2008 and Canadian Baseball Network first teamer in 2005 and 2006 with the New Mexico Thunderbirds, was drafted and signed with the Tigers. RHP Henry Mabee (Victoria, BC), a Canadian Baseball Network second teamer in 2005 with the Truman State Trojans, was drafted by the White Sox and pitched for Double-A Birmingham. RP Chris Kissock (Fruitvale, BC), of the Lewis-Clark State Warriors, a Canadian Baseball Network second teamer in 2005 and 2006 and a first teamer in 2007, was drafted and pitched in the Phillies organization. This summer he pitched for the Winnipeg Goldeyes in the American Association. RP Chris Toneguzzi (Thunder Bay, Ont. ), of the Purdue Boilermakers, a Canadian Baseball Network third teamer in 2005 and a second teamer in 2006, signed with the Brewers. RHP Scott Richmond (North Vancouver, BC), of the Oklahoma State Cowboys, a Canadian Baseball Network third teamer in 2005, pitched for the Blue Jays. This summer he was on the mound for Wichita Wingnuts of the independent American Association. SS Taylor Green (Courtenay, BC), of the Cypress Chargers, a Canadian Baseball Network third team choice in 2005 and an honourable mention in 2006, spent the year at double-A Biloxi. OF Brad McElroy (London Ont. ), of the Charlotte ‘49s, a Canadian Baseball Network second teamer in 2008 and 2006, a third teamer in 2005 and a first teamer in 2007, is in the Jays system at double-A New Hampshire. LHP Scott Diamond (Guelph, Ont. ), of the Binghamton Bearcats, Canadian Baseball Network honourable mention in 2005 and 2006. He spent the summer with triple-A Durham. He signed with the Toronto Blue Jays for 2016. RHP Matt Kniginyzky (Mississauga, Ont. ), of the High Point Panthers, Canadian Baseball Network honourable mention in 2005, pitched at Double-A Northwest Arkansas. RHP Jamie Richmond (Mississauga, Ont. 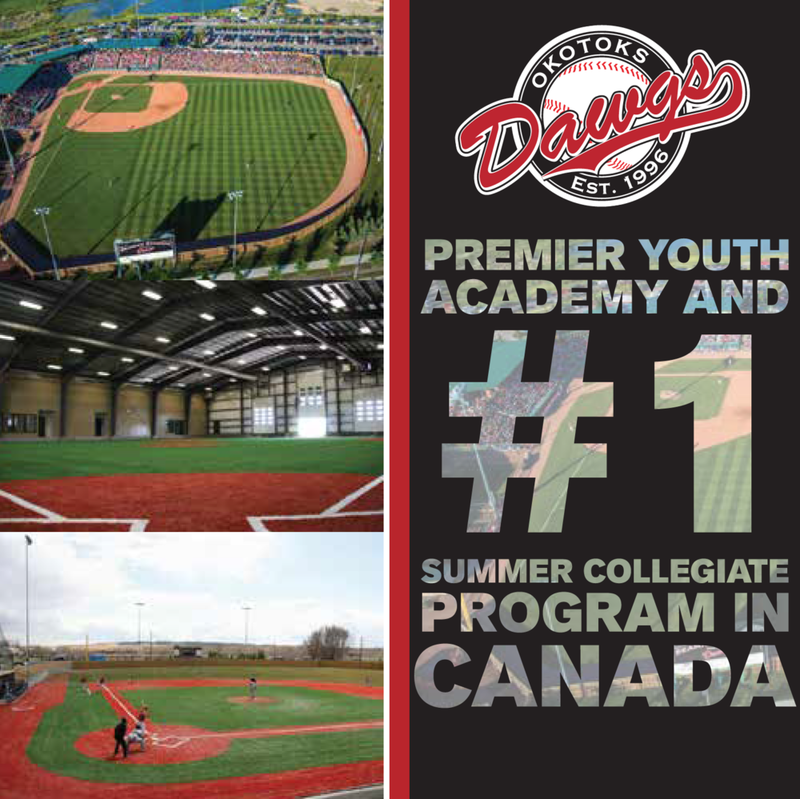 ), of the Texarkana Bulldogs, Canadian Baseball Network honourable mention in 2005, then pitched Indy ball. C Cole Armstrong (Surrey, BC), of the Central Missouri State Mules, Canadian Baseball Network honourable mention in 2005, caught in the Miami Marlins system. He headed for Indy ball. C Joel Collins (Richmond Hill, Ont. ), of the South Alabama Jaguars, Canadian Baseball Network honourable mention in 2005, a third teamer in 2006 and 2007, signed with the Blue Jays, played in the Pirates and Giants organizations. 1B Jordan Lennerton (Langley, BC), of the El Paso Tejanos, was named Canadian Baseball Network second team all-Canadian in 2006 and a third teamer in 2007, signed with the Tigers and was at triple-A Toledo this summer. 3B Devery Van De Keere (Barrhead, Alta. ), of the Louisiana-Lafayette Ragin’ Cajuns, Canadian Baseball Network second team all-Canadian in 2006, signed with Kansas Van-De-Keere-BrettCity. This summer he played in Austria. SS David Cooper (Edmonton, Alta. ), of the Mount Olive Trojans, a Canadian Baseball Network third teamer in 2008, a second teamer in 2006 and voted to the third team in 2007, signed with the Arizona Diamondbacks. OF-SS Marcel Champagnie (Bolton, Ont. ), of the Arizona State Sun Devils, a Canadian Baseball Network second teamer in 2008, and a second team All-Canadian in 2007 and earned Third Team honours in 2006 at Kaskaskia Blue Devils, signed with the Los Angeles Angels. OF Rene Tosoni (Port Coquitlam BC), of the Chipola Indians, a Canadian Baseball Network third teamer in 2006, signed with the Minnesota Twins and player in their organization. He spent the summer playing Indy ball for the Sioux City Explorers. LHP Kai Tuomi (Sault Ste. Marie, Ont. ), of the Evansville Purple Aces, Canadian Baseball Network honourable mention in 2006 and 2007, signed with the Nationals. RHP Derek McDaid (Barrie, Ont. ), of the Charlotte ‘49ers, Canadian Baseball Network honourable mention in 2006, signed with the Padres and pitched at Quebec City in 2011. RHP Brad Cuthbertson (Sherwood Park, Alta. ), of the Midland Chaparrals, Canadian Baseball Network honourable mention in 2006, signed with the Jays. RHP Aaron Cotter (South Slocan, BC), of the Arkansas Monticello Boll Weevils, Canadian Baseball Network honourable mention to the all-Canadian team in 2006, signed with the Mariners and pitched in their system. 1B Brock Kjeldgaard (London, Ont. ), of the Indian Hills Falcons, Canadian Baseball Network honourable mention to the all-Canadian team in 2006 as a pitcher and as a first baseman. He spent the summer playing Indy ball for the Sioux City Explorers. RP Trystan Magnuson (Vancouver, BC) Canadian Baseball Network honourable mention in 2006 and a first-team selection in 2007, of the Louisville Cardinals, pitched at double-A New Hampshire in the Jays system before being released. LHP Andrew Albers (North Battleford, Sask.) Canadian Baseball Network honourable mention in 2006 and 2007, plus a first teamer in 2008 with the Kentucky Wildcats, signed with the Padres, injured his arm, pitched in Quebec, signed with the Twins, and joined the Twins rotation to have back-to-back scoreless outings in 2013. He pitched in for the Jays and triple-A Buffalo this season. C Lars Davis (Grand Prairie, Alta. ), of the Illinois Fighting Illini, Canadian Baseball Network honourable mention in 2006 and a first teamer in 2007, reached Triple-A LeHigh Valley in the Phillies system. 1B Mitch MacDonald (freshman, Regina, Sask. ), of the Monterrey Peninsula Lobos, Canadian Baseball Network honourable mention to the 2006 and second team all-Canadian in 2007, signed with the Marlins. RP Tom Boleska (Burlington, Ont. ), of the High Point Panthers, Canadian Baseball Network second team all-Canadian in 2007, was drafted by the Pirates, was signed by the Giants and claimed by the Twins in the minor league draft. He pitched for the Orioles’ Double-A Bowie Baysox. 2B Skyler Stromsmoe (Bow Island, Alta. ), of the Southern Arkansas Muleriders, earned Canadian Baseball Network third-team all-Canadian in 2007, signed with San Francisco and this season played at double-A Richmond, class-A San Jose and triple-A Richmond -- while finding time to score the game-tying run in the 10th inning of the gold medal game. RP David Francis (Mississauga, Ont. ), of the Walters State Govenors, a Canadian Baseball Network honourable mention honours in 2007 and a first teamer in 2008, was signed with Atlanta, pitching Indy ball at London. 2B Kevin Mailloux (Windsor, Ont.) of the Canisius Golden Griffins, a Canadian Baseball Network first team All-Canadian in 2009, 2008 and 2006 and a second teamer in 2005, was drafted by the Mariners. SS Terrance Dayleg (Surrey, BC), of the Western Kentucky Hilltoppers, a Canadian Baseball Network first team All-Canadian in 2008 and an honourable mention in 2007 and 2009, was drafted by the Marlins and was at double-A Jacksonville. SS David Narodowski (Vancouver, BC), a Canadian Baseball Network first teamer with the Kansas Jayhawks in 2009 and second teamer with of the Vernon Chaparrals in 2008, was drafted and signed by the Diamondbacks. 3B Randy Schwartz (Kleinburg, Ont. ), of the High Point Panthers, a Canadian Baseball Network second teamer in 2008 and honourable mention in 2007, played in the Jays system. RHP Jordan Meaker (Burlington, Ont.) of Dallas Baptist Patriots, a Canadian Baseball Network honourable mention in 2008, signed with the Diamondbacks. OF Chad Stang (Surrey, BC), of Midland Chaparrals; a Canadian Baseball Network honourable mention in 2008 and a 2009 third teamer was drafted the Brewers. This season he started at Double-A Huntsville before joining Joilet in Indy ball. OF Josh Garton (Guelph, Ont. ), of the Volunteer State Senators, a Canadian Baseball Network first teamer in 2009 and an honourable mention in 2008, was drafted by the Reds and played indy ball at Quebec. LHP James Paxton (Ladner, BC) of the Kentucky Wildcats was a First Team Canadian Baseball Network First Team member in 2009 and earned Third Team honors in 2008. Paxton had 13 starts this summer for the Seattle Mariners going 3-4 and he’s 12-8 in his first 30 major-league starts. C Marc-Olivier Mimeault-Jodoin (Candiac, Que.) of the Georgia State Panthers, a Canadian Baseball Network first team all-Canadian in 2009, a third team All-Canadian in Marc Olivier Jodoin-Mimeault 2008 and a second team all-Canadian in 2007 with the Northeastern Oklahoma A&M Golden Norse, played with Quebec. LHP Mark Hardy (Campbell River, BC), of the UBC Thunderbirds, a Canadian Baseball Network second teamer in 2009 and All-Canadian honourable mention honours in 2008 and 2010, signed with the Padres, pitched for Jays manager John Gibbons at double-A San Antonio and pitched in the Indy league for the Can Am’s Quebec Capitales. 2B Chris Bisson (Orleans, Ont. ), of the Kentucky Wildcats, a Canadian Baseball Network second team all-Canadian in 2009 and 2010, signed with the Padres and played at double-A San Antonio. HP Jeremiah Sammy (Markham, Ont. ), of the Lamar Cardinals, a 2009 Canadian Baseball Network third teamer, signed with Rockies and played in the minors. LHP Jon Hesketh (Langley, BC) of New Mexico Lobos, a Canadian Baseball Network 2009 honourable mention and a 2006 third teamer, signed with the M’s and pitched in the minors. RHP David Kington (Coquitlam, BC) of the Southern Illinois Salukis, a 2009 Canadian Baseball Network honourable mention was drafted and signed by St. Louis. INF Bobby Wagner (Port Coquitlam, BC) of the Panola Ponies, a Canadian Baseball Network 2009 honourable mention, signed with the Cubs and played with Quebec. SS Jeff Cowan (Scarborough, Ont.) of the High Point Panthers, a Canadian Baseball Network 2009 Honourable Mention, signed with Normal in the Indy Frontier League. SS Sammie Starr (Toronto, Ont. ), of the UBC Thunderbirds, a Canadian Baseball Network 2009 Honourable Mention and third team honours in 2010. He was drafted and signed by the Orioles and played at Single-A Frederick, Single-A Bowie; Triple A Norfolk and Single-A Aberdeen Ironbirds. This summer he coached in the Orioles system. OF Ryan Lapensee (Lasalle, Ont. ), of the Wayne State Warriors, a Canadian Baseball Network Honourable Mention in 2009 and third team in 2010, signed with Arizona and played in the Diamondbacks organization. OF Marcus Knecht (North York, Ont.) of the Connors State Cowboys, was Canadian Baseball Network player of the year and a first team all-Canadian in 2010, was drafted by the Blue Jays. After spending time with the Jays he was with class-A Fort Myers and double-A Chattanooga. LHP Sheldon McDonald (Spruce Grove, Alta.) of the UBC Thunderbirds earned Canadian Baseball Network first team honours as a reliever in 2008, second team honours in 2010 and first team honours in 2001. He was drafted by the Chicago Cubs and pitched at for the class-A Daytona Cubs and the class-A Kane County Cougars. INF Sean Jamieson (Simcoe, Ont.) of the Canisius Golden Griffs earned Canadian Baseball Network honourable mention honours in 2009, second team honours in 2010 and First Team Honours in 2011. A former Randy Echlin award as the top Canadian hitter in the minors, he spent this summer at double-A Mobile in the Arizona system and won a gold medal in Ajax. RHP Brandon Kaye (Langley, BC) of the UBC Thunderbirds earned Canadian Baseball Network third team honours in 2010. He was signed by the Jays and pitched in the minors. RHP Zack Breault (Amherstburg, Ont.) earned Canadian Baseball Network honourable mention honours in 2010 pitching at Bryan. He was signed by the Jays as a free agent. RHP Les Williams (Toronto, Ont.) of the Northeastern Huskies, earned Canadian Baseball Network honourable mention honours in 2010 pitching at Northeastern. He was drafted by the Blue Jays and pitched in the minors. SS Steve Wickens (Whitby, Ont.) earned Canadian Baseball Network honourable mention honors in 2010 at Florida Gulf Coast. He was drafted by the Twins and played for the double-A New Britain. OF Chase Larsson (Vancouver, BC) Cameron Aggies, earned Canadian Baseball Network first team honours in 2011, was drafted by the Braves and in their system. INF Carter Bell (Courtenay, BC) of the Oregon State Beavers, earned Canadian Baseball Network first team Honours in 2011, was drafted by the Diamondbacks. He played Indy ball for the Washington Wild Things and the Joliet Slammers in the Frontier League this summer. LHP Shane Davis (Belmont, Ont.) of Canisius earned Canadian Baseball Network honourable mention in 2010 and 2009 and first team in 2008 was drafted by the Blue Jays and pitched in the minors. RHP Robert Nixon (Welland, Ont.) of the Adelphi Panthers, earned Canadian Baseball Network second team honours in 2011 and honourable mention honours in 2010. He was drafted and signed by the Indians. This year pitched for Double A Akron Aeros and indy ball in Winnipeg. RHP Erik Brown (Thunder Bay, Ont.) of the UBC Thunderbirds, earned Canadian Baseball Network third team honours in 2011 and honourable mention honours in 2010 and 2009. He was drafted by the Jays and pitched this in the minor league system. INF Eric Wood (Pickering, Ont.) of the Blinn Broncos, earned Canadian Baseball Network third team honours in 2012. He was the top Canuck drafted in 2012 going to the Pittsburgh Pirates. He played at class-A West Virginia this season. LHP David Otterman (Coquitlam, BC) University of British Columbia Thunderbirds, took Canadian Baseball Network first team honours in 2012. Otterman was the second over-all Canuck chosen going to the Brewers. In 2013, he pitched at rookie-class Helena. RHP Jeff Gibbs (East York, Ont.) of University of Maine Black Bears, earned Canadian Baseball Network third team honours in 2011 and was on the second team in 2010. The Arizona Diamondbacks selected Gibbs in the ninth round. He pitched in the Diamondbacks system. INF Maxx Tissenbaum (Toronto Ont.) of the Stony Brook Sea Wolves, named the Canadian Baseball Network Player of the Year and a First team honours in 2012 and honourable mention in 2010 and 2011. The Padres chose Tissenbaum in the 11th round. Dealt to Tampa Bay he spent this season he was at class-A Charlotte and was claimed in the minor-league phase of the Rule V draft by the Miami Marlins. OF Tyler Hollick (Calgary, Alta.) of Chandler-Gilbert, earned Canadian Baseball Network first team honours in 2012 and and honourable mention in 2011. Hollick was chosen by the San Francisco Giants. INF Keaton Briscoe (North Vancouver BC) of the University of British Columbia Thunderbirds, took Canadian Baseball Network honourable mention honours in 2011 and 2010. The Boston Red Sox selected Briscoe. RHP Jasvir Rakkar (Brampton, Ont.) of the Stony Brook University Sea Wolves, earned Canadian Baseball Network honourable mention in 2012. The reliever went to the Chicago Cubs in the draft. He pitched at class-A Myrtle Beach and helped Canada win gold. RHP Adam Paulencu (Sherwood Park, Alta. ), of Embry-Riddle Aeronautical, earned Canadian Baseball Network honourable mention in 2012. He was selected by the Colorado Rockies in the 26th round and pitched at class-A Tri-City in 2012. RP Jon Fitzsimmons (London, Ont.) of Canisius earned Canadian Baseball Network First Team honours in 2012. He was signed by the Kansas City Royals as a free agent and this season pitched for Quebec. C Larry Balkwill (Chatham, Ont.) of the Siena Saints, earned Canadian Baseball Network First Team honours in 2012. He signed and played the Windy City Thunderbolts in the Frontier League. SS Pier-Olivier Dostaler (Mont-Carmel, Que.) of Lamar gained Canadian Baseball Network First Team honours in 2012. He played with the independent Trois Rivieres Eagles. this summer. LHP Rob Zastryzny (Edmonton, Alta.) of the Missouri Tigers, earned Canadian Baseball Network third team honours in 2013 and second team in 2012. He was chosen by the Cubs in the second round and pitched at double-A Tennessee this year. RHP Nick Pivetta (Victoria, BC) of the New Mexico JC Thunderbirds, earned Canadian Baseball Network third team honours in 2013. He was chosen by the Nationals in the fourth round. In 2014 he earning Canadian Baseball Network Canadian Minor League Pitcher of the Year and this summer was dealt to the Philadelphia Phillies in the Jonathan Papelbon deadline deal. RHP Andrew Cooper (Belle River, Ont.) of the Sierra Wolverines, earned Canadian Baseball Network first team honours in 2013. He was selected in the 11th round by the Nationals. He pitched at Hagerstown this summer. OF Adam Nelubowich (Stony Plain, Alta.) of the Washington State Cougars, picked up Canadian Baseball Network honorable mention honors in 2013. The Astros chose him in the 18th round. He played at Tri City. C Mike Reeves (Peterborough, Ont.) of the Florida Gulf Coast Eagles. He earned Canadian Baseball Network third team honours in 2013. He was chosen in the 21st round by the Blue Jays. He was at class-A Lansing and class-A Dunedin this summer. RHP Brock Dykxhoorn (Goderich, Ont.) of the Central Arizona College Vaqueros. He earned Canadian Baseball Network second team honours in 2014. Drafted by the Houston Astros, he pitched at class-A Quad Cities. RHP Jordan Romano (Markham, Ont. ), Oral Roberts Golden Eagles. He earned Canadian Baseball Network first team honours in 2014. He was selected by Toronto and made two stops in the Jays system in 2014 but went down with an injury and did not pitch this summer. C Jordan Procyshen (Calgary, Alta.) of the Northern Kentucky Norse. He earned Canadian Baseball Network second team honours in 2014, first team in 2013 and honourable mention in 2012. After being drafted by the Boston Red Sox, he spent this summer he squatted at class-A Greenville and class-A Salem. LHP John McLeod (Calgary, Alta.) Wake Forest Demon Deacons. He earned Canadian Baseball Network third team honours in 2014. Drafted by the Orioles, he pitched with the rookie-class Orioles this summer. RHP Cody Chartrand (Nanaimo, BC) of the Lewis-Clark State College Warriors He earned Canadian Baseball Network honourable mention honours in 2014. He was drafted by the Texas Rangers and assigned to the class-A Spokane Indians. C Robert Tavone, Jr. (Whitby, Ont.) of the Urbana University Blue Knights. He earned Canadian Baseball Network honourable mention honours in 2013. He was signed by the Atlanta Braves.